You will all have seen my pictures on Instagram of me & Lee on our recent child-free day to Liverpool, having fun and knocking back the shots like teenagers. Having spent 7 years working in Liverpool I count the city as a 2nd home and have a great love of the ‘scouse’ way of life. Until my departure from my day job in July I spent many happy lunch hours having my ‘curly blow ‘ done and shopping in the worlds best Primark while sporting a head full of rollers. 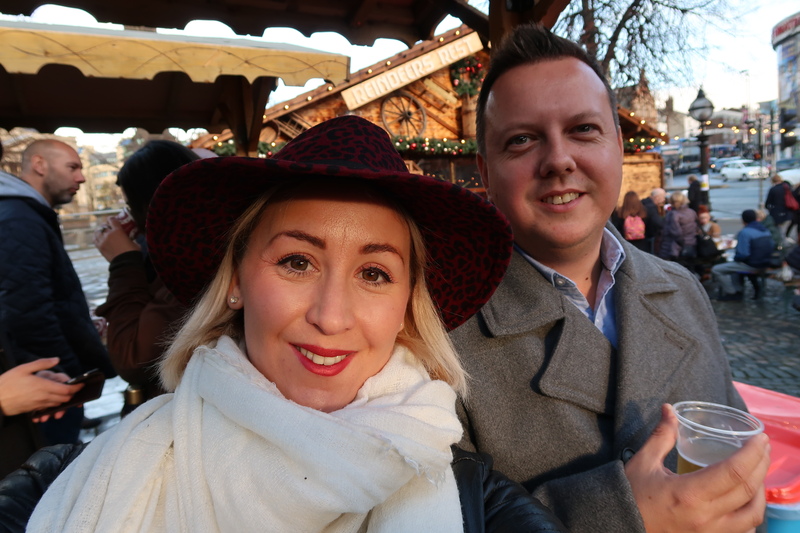 It was partly down to me missing my adopted city that we changed our annual Christmas Markets visit from Manchester to Liverpool .For anyone hasn’t been to Liverpool in the last couple of years or has wanted to visit Liverpool but didn’t know what the city has on offer I thought I would give you a quick guide to whats on this Christmas and where to go. No trip to Liverpool would be complete without a visit to Liverpool One. With a huge mix of shops from high street favourites like Zara, Victoria’s Secret & Hollister to high-end luxury labels like Boss & Michael Kors. Between the restaurants, bars, and cinema you could spend the whole day just in this one area.Over the festive season, Liverpool One is running a campaign #GetChristmassy and have a selection of events running to truly get you into the Christmas Spirit. 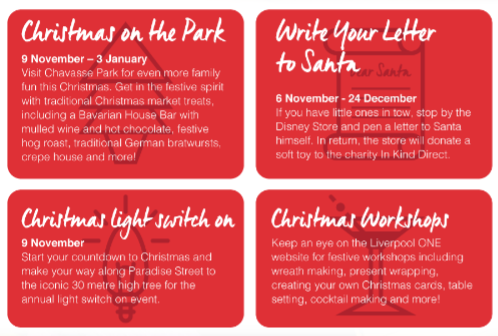 Why not enjoy Christmas on the park with a glass of hot mulled wine or if you really ‘have’ to bring the kids why not pop by the Disney Store to write Santa a letter. Liverpool One has something for everyone and whether you are just looking to grab a coffee before hitting the shop or you or you want a romantic lunch, Liverpool One is the place to start your day. Having only experienced the manic , tightly cramped Christmas Markets in Manchester I was hugely relieved to see that the Liverpool Markets outside St Georges Hall and the Ice Festival at Pier Head provided ample room to walk about and had a lot more activities to get involved in as well as a large selection of bars and food outlets. Not wanted to return home with a broken ankle I skipped the Ice-rink in favour of the Ice Bar. A unique cool ice experience featuring a glittering room of crystal clear ice sculptures where even the bar, tables and chairs are carved from real ice. 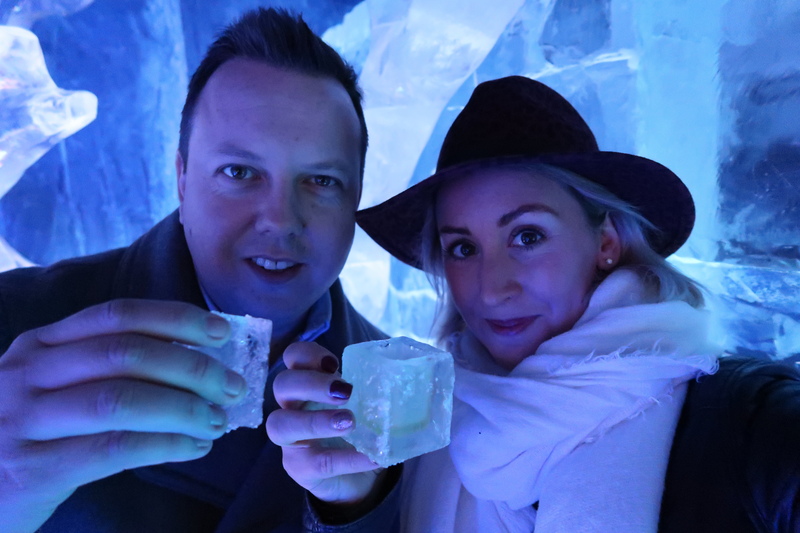 The shots on offer help keep the chill-out and if you are feeling like a true Ice Queen you can relax in a throne made entirely from ice. Prices are £7.50 pp inc a shot or soft drink and if only for the extremely instagramable scenery it well worth the price. 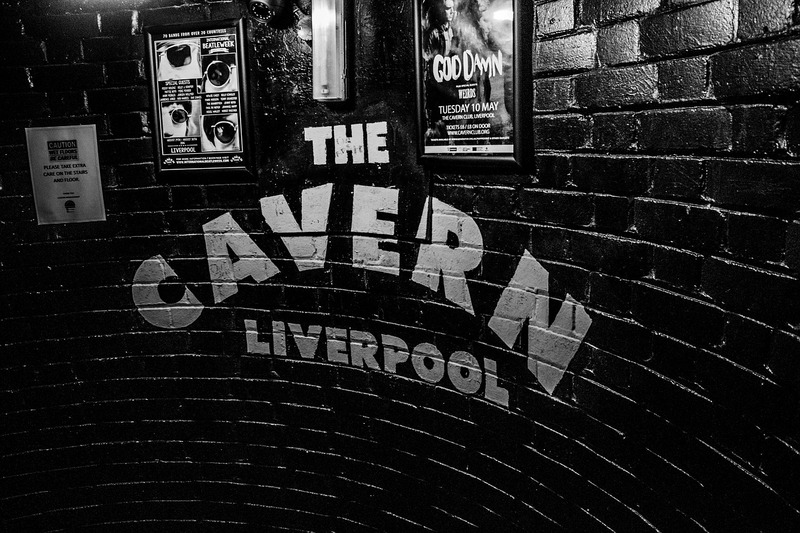 The most Iconic club in Liverpool is still the place to go for amazing live music. The rise to fame of many of Liverpool’s stars inc the Beatles & Cilla Black all stems from performing on the Caverns stage. You will find a statue of John Lennon & now Cilla Black on the cobbled street entrance to the club and many of its locals can still tell you a few tales of ‘ Paul or Ringo getting up to mischief before they hit the big time. If for anything else it is great to soak up the atmosphere of the place and you can still feel the buzz bouncing off the walls.